Consultant psychiatrist at the Central Mental Hospital Dr Conor O’Neill was called by the defence. A MAN WHO denies trying to murder his partner by stuffing underwear in her mouth and hitting her with a hammer is suffering from a mental illness, a psychiatrist told his trial today. Consultant psychiatrist at the Central Mental Hospital Dr Conor O’Neill was called by the defence in the trial of 37-year-old Tomas Gajowniczek. Dr O’Neill said the accused man’s illness made him unable to refrain from his actions and he therefore qualifies for the special verdict of not guilty by reason of insanity. Tomas Gajowniczek (37) of The Ice Rink Apartments, Dolphin’s Barn, Dublin 8 has pleaded not guilty to the attempted murder of Alicja Kalinowska (30) at their home on June 16, 2016. He also pleaded not guilty to intentionally or recklessly causing serious harm to Ms Kalinowska on the same date at the same location. Dr O’Neill told defence counsel Ronan Munro SC that the accused has a delusional disorder, which is a mental illness as defined by the Criminal Law (Insanity) Act. He said Mr Gajowniczek believed that his partner was trying to drug or poison him and his baby when he is alleged to have assaulted her. This belief, the doctor said, was delusionary. Mr Munro said that the prosecution will say that his client was not suffering from a mental illness but was smoking hash and got angry. Dr O’Neill said he considered that possibility but a year after Mr Gajowniczek was admitted to a drug-free, high-support unit of Cloverhill Prison he was showing the same symptoms and delusional beliefs. He said he would expect symptoms to diminish over such a length of time without access to drugs. He also excluded the possibility that the accused was “making it up”, saying there was evidence that he began displaying symptoms months before the alleged assault. Such a ruse would have taken many months of planning, he said. He added that it is possible or even likely that Mr Gajowniczek was smoking cannabis at the time but added that mentally ill people commonly use drugs and this does not preclude a diagnosis of mental illness. 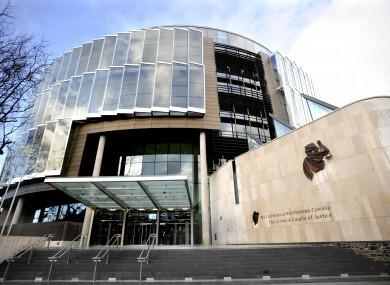 Earlier the trial heard that Mr Gajowniczek told gardai that he “exploded” because he believed Ms Kalinowska, the mother of his child, was poisoning his food. During garda interviews the accused man told gardai to take a blood sample from him to find out what was in his system. Mr Gajowniczek was interviewed at Pearse St Garda Station on June 16, 2016. Detective Garda Nathan McKenna told prosecuting counsel Paul Burns SC that during his third and fourth interviews the accused man told gardai that he was feeling much better, having earlier felt as though he was on drugs – he was sweating and unable to think clearly he told them. He accused Alicja of drugging him and their baby by putting something in their food and drink. He added: “She was poisoning me and now I have exploded.” He told gardai to take a blood sample. Garda Colm Reynolds told Mr Munro that gardai did not take a sample and that he did not think at the time that it was relevant to their investigation. The trial continues tomorrow in front of Justice Patrick McCarthy and a jury of six men and six women at the Central Criminal Court. Email “Man accused of attempted killing of wife with hammer is suffering from a mental illness, court told”. Feedback on “Man accused of attempted killing of wife with hammer is suffering from a mental illness, court told”.